Who doesn't love instant noodles? 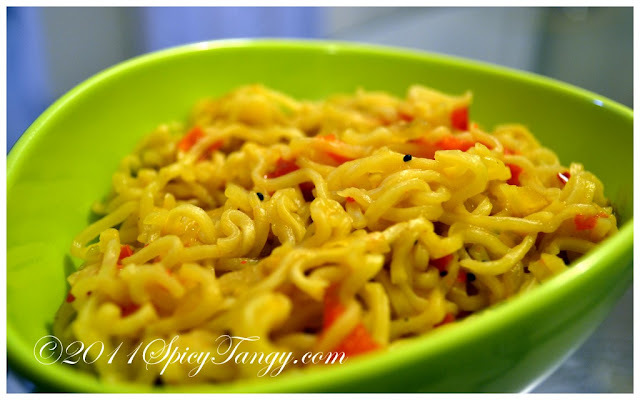 Yesterday was one lazy sunday evening and I thought why not cook the instant noodles with a different style. So here is what I made. Try it and let me know what you think! 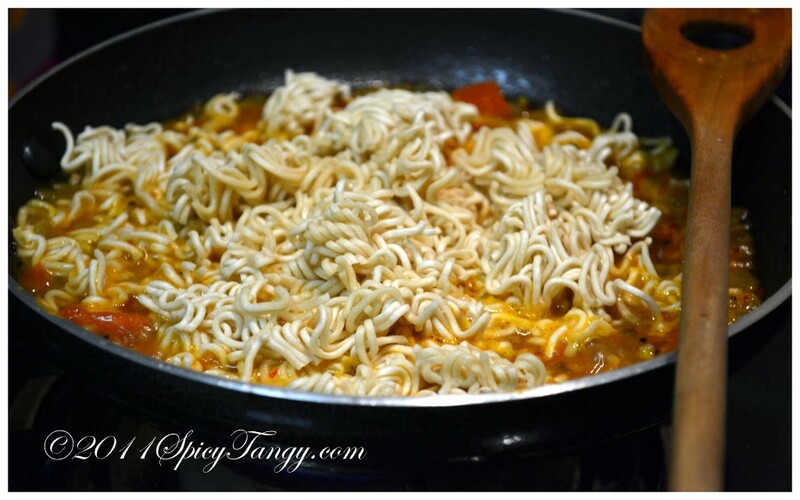 Do you have a favorite way of cooking instant noodles? Let me know in the comments. Chop the onion and tomato finely. Heat oil in a pan. Add mustard seeds and asafortieda. Once the seeds crackle, add onions. 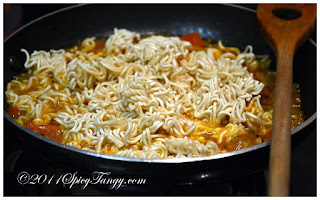 Once the onions are a little brown, add chopped tomatoes, red chili powder, instant noodle spices (which come along with the noodles), salt, lemon juice, garam masala. Cook it till oil saperates. Now add one cup water. 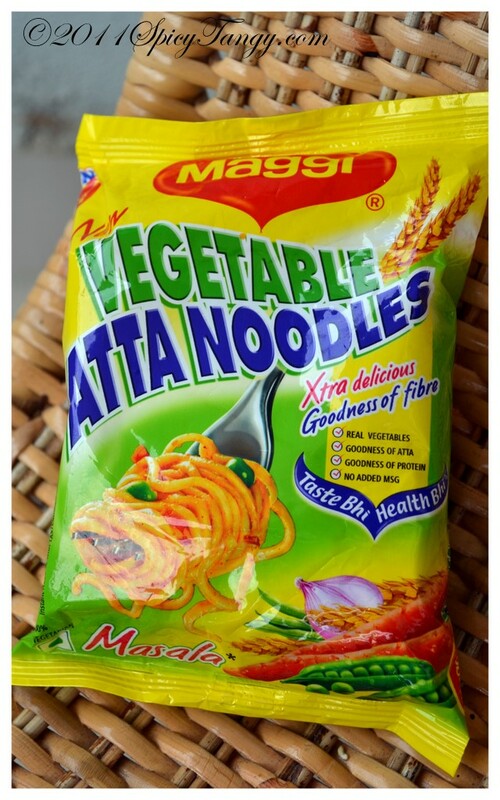 Once the water boils, add the noodles. Cook it till done. You can substitute tomato with ketchup. Yummmiee :) nice and tangy receipe! Add Olive oil on Top.. it wl surely Taste most Yummy & extra beneficial for Health too.. It will be very tasty !